Made in West Germany in the late 1970's. 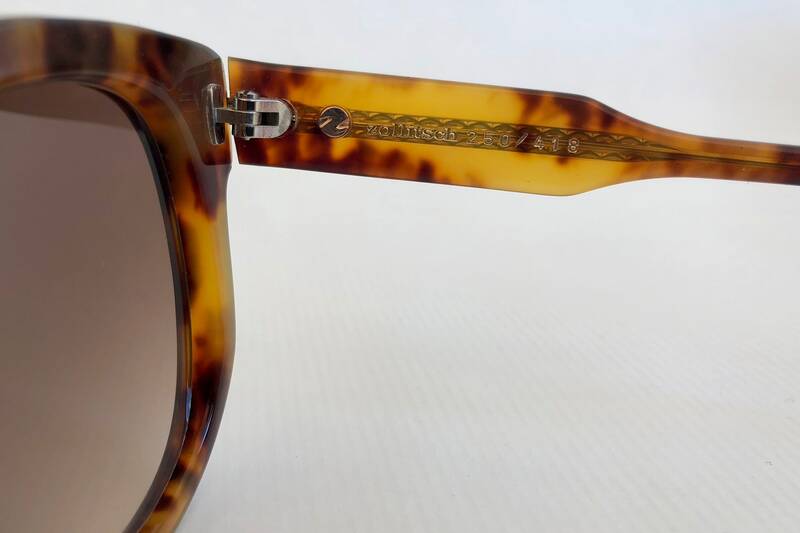 This frame is in Mint New Old Stock Condition, never worn. 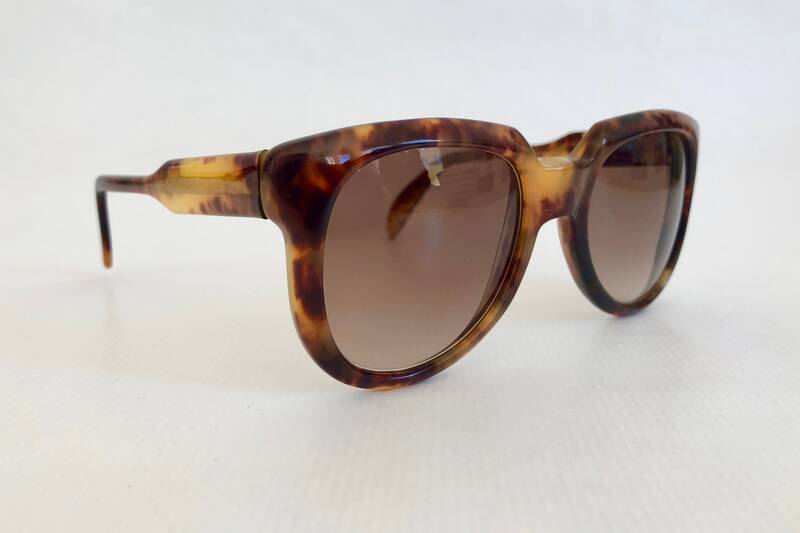 Zollitsch is one of the most underrated powerhouses of 1980ies eyewear design. 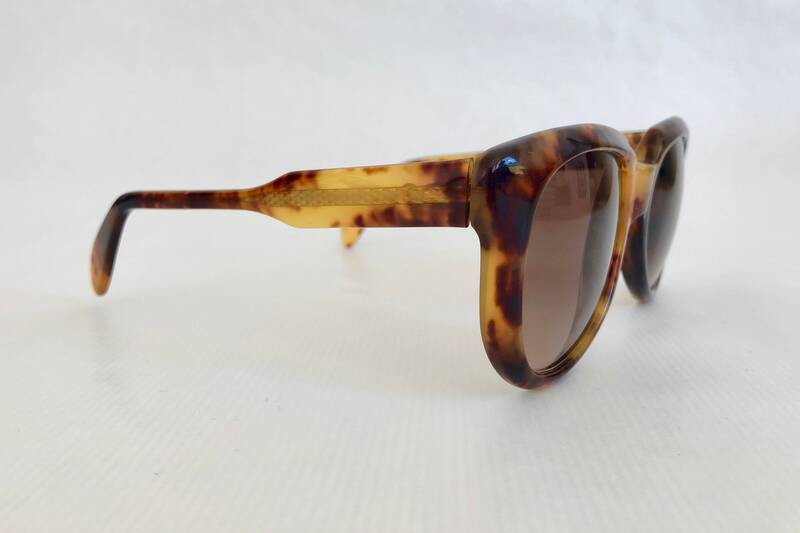 The company existed for a very short time only and released so many iconic frames that it became well known to vintage eyewear collectors around the world in recent years. The shape and curves of this frame are incredible. 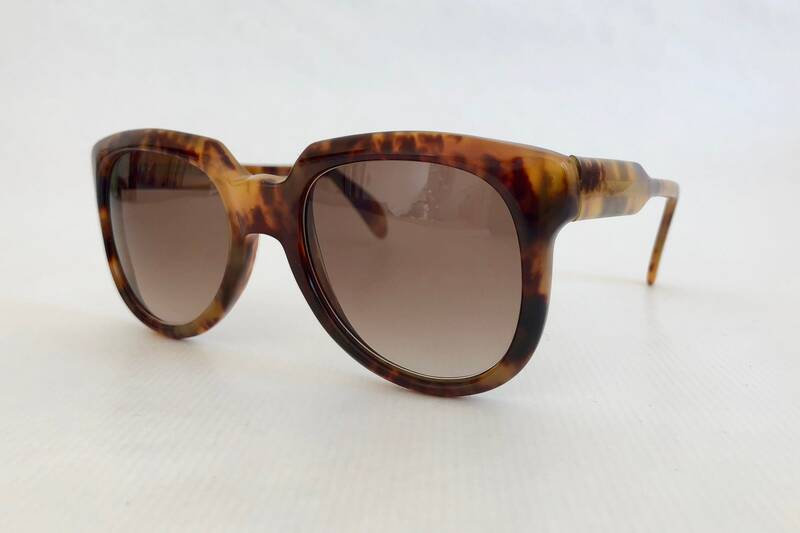 The thick Tokyo Tortoise frame features one of the most beautiful acetate plates i have ever seen: different shades of the intricate marbling manifest depending on the light, an absolutely stunning masterpiece of 1970's german eyewear. 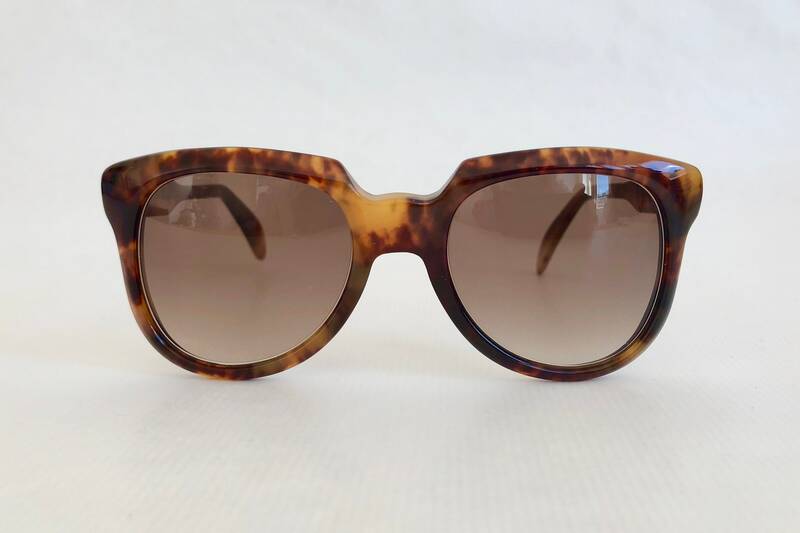 Lenses are brand new custom brown gradient with 100% UV 400 Protection.